On October 26, 2018 our A-Litter with 4 males and 1 female was born. 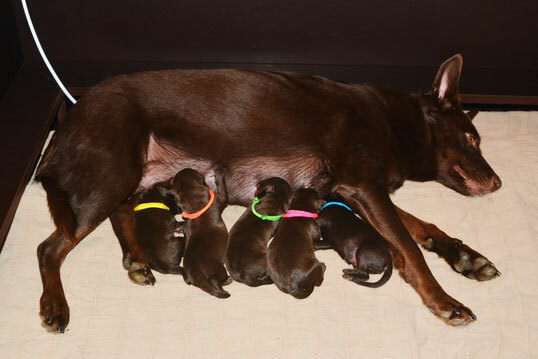 Lille and her puppies are doing fine. 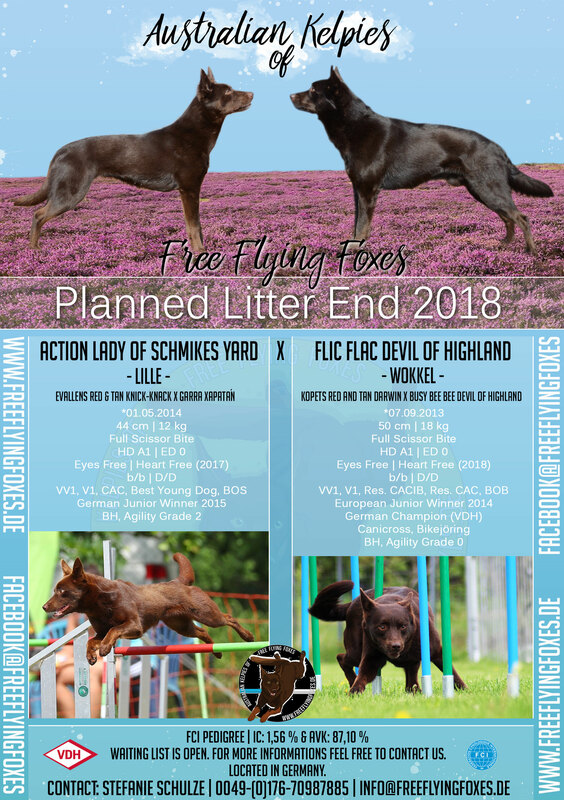 More infos to puppies you can find under A-Litter. 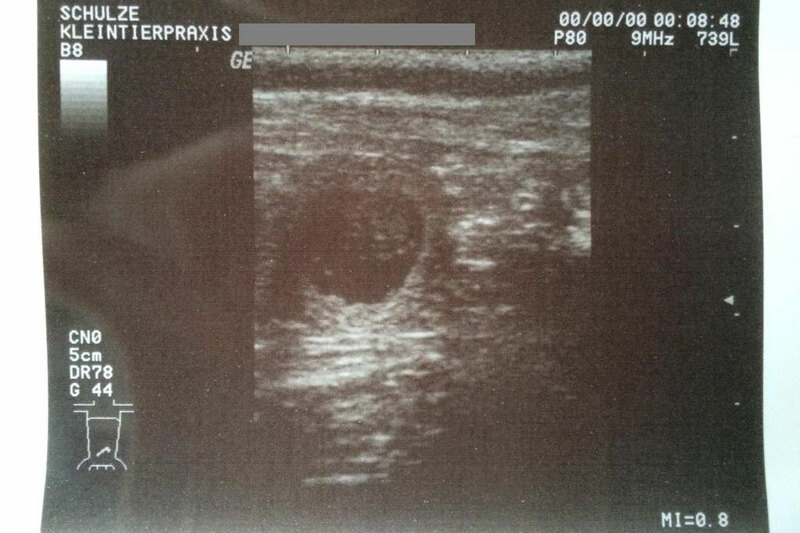 The result of ultrasound on September 20, 2018 - Lille is pregnant! It was such an amazing feeling to see already those little hearts beating. When hopefully everything goes fine in the next time we're expecting the puppies around October 28, 2018. Lille has been mated by Wokkel without any problems on August 27, 2018. If Lille is pregnant we will know after doing ultrasound in few weeks. 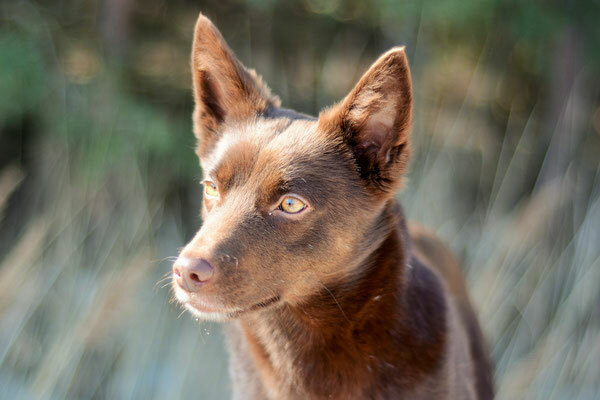 We're expecting our first litter of Australian Kelpies under the kennel name "Free Flying Foxes" at the end of the year 2018. 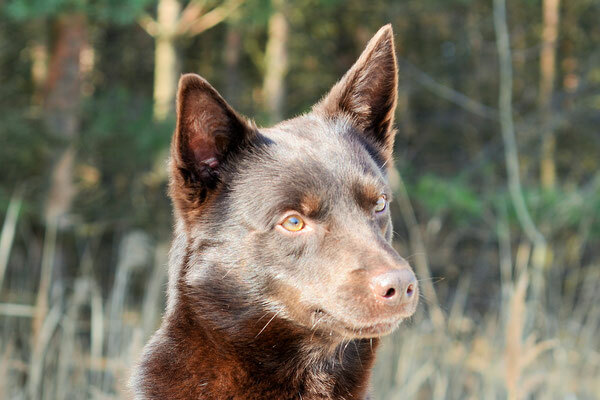 Out of that combination we have great hopes of getting high-drive Australian Kelpies with a lighter and more sporty body structure and big will to please and work. Because of their personal skills we prefer to place them in any kind of dogsport homes. 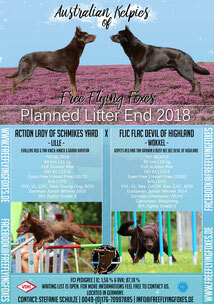 For more questions or serious interest in a puppy out of that combination feel free to Contact us.